At Hacker Industries, Inc., we believe in the power of making what’s old new again. Re-use. Recycle. Words that we use as a call to action to make what’s old new again. At Hacker Industries, Inc., we use the words Resurface and Repair. 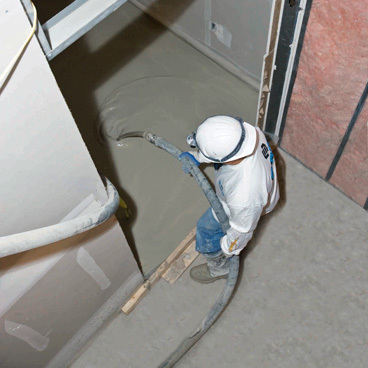 When a rehabilitation job calls for a concrete topping or leveling product, Hacker Industries offers two options for resurfacing and repair applications. FIRM-FILL Gypsum Concretes achieve compressive strengths up to 5,500 psi when used per ASTM C472m. For a cost-effective hydraulic cement, TRU-SCREED CLU achieves compressive strengths up to 6,000 psi when tested according to ASTM C109M.